A dad’s heartbreaking suicide note pleading for humanity has been revealed. His devastated daughter has told how he was driven to suicide amid fears he could lose his home. Nigel Hurst originally owed only £2,203. But the 56-year-old took his own life as debts skyrocketed to £70,000. 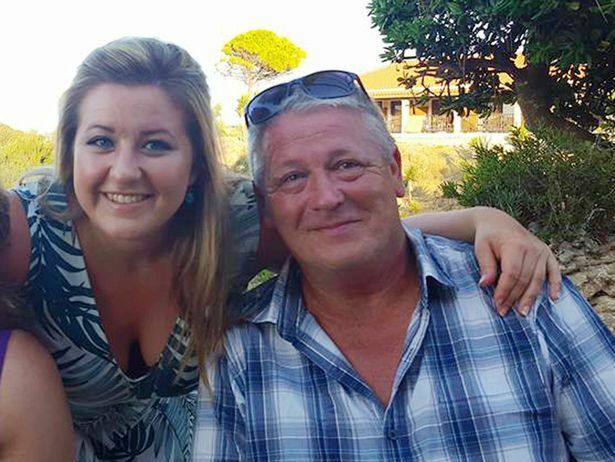 Jessica Hurst, Nigel’s heartbroken daughter, has decided to reveal her dad’s suicide note as a plea for more humanity from debt collectors. After his death, the total owed continued to grow and by May this year, debt collectors said they were due more than £82,000 from his estate. 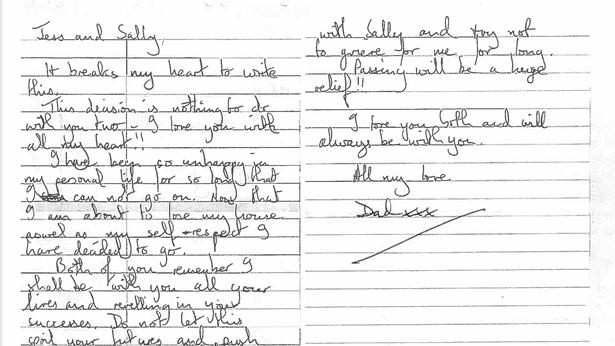 In his suicide note to daughters, Jessica, 26, and Sally, 20, he said death would be a relief as he faced eviction to pay the debt. He wrote: “It breaks my heart to write this. “I love you with all my heart. “I have been so unhappy in my personal life for so long, I cannot go on. He added: “Do not grieve for me for long. “Passing for me will be a huge relief. He killed himself three days after driving Jessica to Glasgow where she is studying at The Royal Conservatoire of Scotland (RCS). After her father’s death, bailiffs gave her only a couple of hours at Christmas to pick up sentimental items from his house. Jessica said: “This debt pushed my father in to taking his own life. “It is utterly disgusting and inhumane. “The amount of pressure that had put on him was unbearable. “No human being was going to withstand that as well as having cancer. Jessica, training at Glasgow’s RCS to be an opera singer, only discovered her father’s debts had spiralled out of control after he died and she found an eviction notice in his home. Nigel was diagnosed with cancer of the kidneys in 2004 and Jessica believes the stress of a divorce from the girls’ mother and his illness led to his financial difficulties. Nigel had started with a debt of £2,203 for a credit card and loans and £1,500 owed for council tax to South Lakeland District Council in Cumbria, where he lived. The council tax arrears alone had reached more than £9,000 with fees and interest when Nigel declared himself bankrupt in 2015. When accountants BDO UK were appointed by the court to collect the debt following bankruptcy, the total amount owed is believed to have reached just over £15,000. But by May this year, BDO UK said his estate owed the company £82,860. When he declared himself bankrupt, Nigel, who was still working as a groundsman, had agreed a payment plan of £880 a month but had recently stopped paying it. 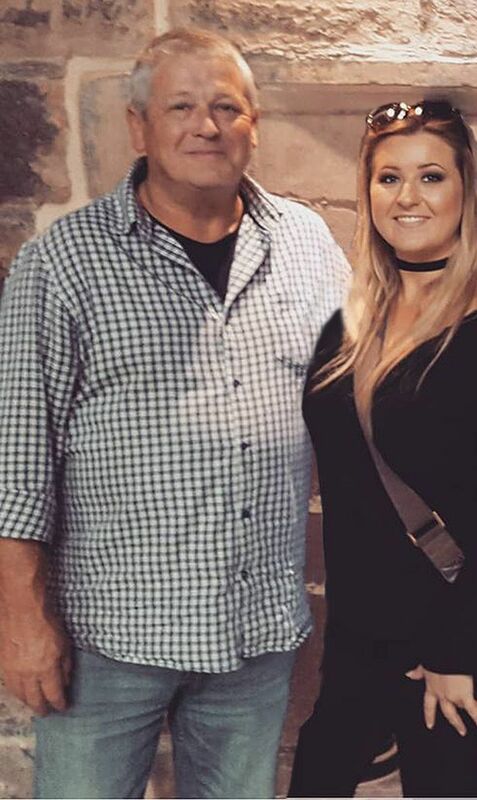 Jessica believes he couldn’t afford to keep up the payments. When she visited his home after his death, she discovered he had been living with no water or heating. He had lost teeth through cancer treatment but couldn’t afford to have them replaced. “A year ago, he told her there was only a fiver in his bank account. But she said he had been “quiet” when he drove her to college three days before he took his own life. She said: “He was very quiet in the car that day which was unlike him. “Then he stayed all day with me to help me unpack. Her younger sister Sally, who has learning difficulties, has suffered anxiety since her father’s death and will not now have the financial cushion of the home her father would have otherwise left her. Jessica said Nigel had been a “wonderful” father and had maintained a close friendship with their mother despite their divorce. She said: “We were really close and we spoke every night. “This should never have happened. Jessica had offered to pay £40,000 in March in a bid to keep the house but BDO UK refused, saying the sum was too low. After intervention from Nigel’s MP Tim Farron, BDO have since agreed to reduce their claim to £35,869, which it is understood is partly a result of the firm cutting their fees. But the house, worth £140,000, will need to be sold as there is a mortgage of £56,000 and another outstanding loan of £11,000, although those creditors have not chased repayment. BDO UK refused to give a breakdown of how the original debt had escalated under their charge. “They said they had been appointed trustees after Nigel went bankrupt three years ago and applied to put his house up for sale as he was unable to pay debts owed. They added: “On Wednesday, October 4, 2017, a court bailiff and agent were due to meet Mr Hurst and the property handed over. Unfortunately, the tragic discovery of Mr Hurst’s death was made.